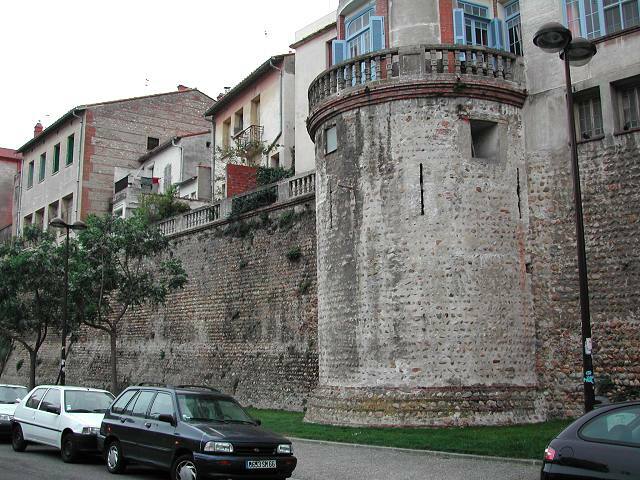 Nestled right down in the bottom corner of the country, Perpignan is something a a hybrid. Though it is now officially part of France, this area has been bandied around between powers for centuries - sometimes finding itself a French city, and at other times part of Spanish domains. It also acted as a place of refuge for Spanish refugees fleeing the Civil War in the 1930's, which has strengthened the town's links with Spanish culture even further. It is not a surprise that when visiting this town today, both Spanish and French cultures are strongly represented. Today, Catalonia is a region in north-eastern Spain which borders France, of which the capital is the vibrant city of Barcelona. It is an autonomous community within Spain, with its own government - a result of the independence of the Catalonian people. For 40 years during the mid 20th century, Catalan culture was suppressed. But it has enjoyed a gradual renaissance since the 1980's. This sense of pride in the Catalan culture can also be seen in Perpignan, where the street signs are written both in French and Catalan. 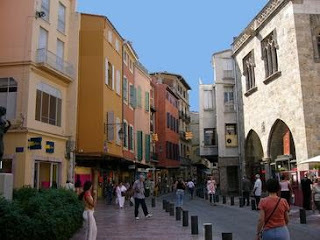 And in 2008, Perpignan became the Capital of Catalan Culture in France. Perpignan is also known as the "City of Festivals". It is famous for its full calendar of events and festivals - with Summer being especially busy. Le Festival d'Ete de Perpignan aka "Estivales" is held during July. It was created in 1987 to showcase Mediterranean culture and features an eclectic program of dance, music, street theatre and film. And during the summer, make sure you experience "Les Jeudis de Perpignan". Every Thursday the whole city centre is animated with free music in cafes and squares throughout the old town. It's great for all ages! Perpignan and the surrounding area is a great destination for food-lovers. (And who doesn't love food?!) Due to the rich alluvial soil, abundant sunshine and water, crops flourish in this area. The city's main marketplace is on Place Cassanyes. This area was once home to the Jewish quarter, and now the population has shifted to Gypsy and North African families. It feels much more like Algiers than the streets of southern France. 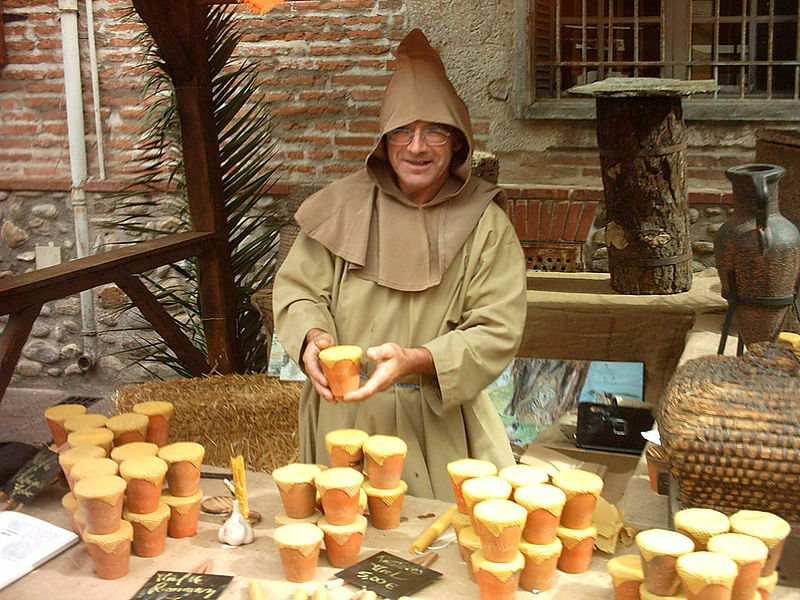 The Cassanyes market is open every day until about 1 pm. There isn't much you can't find here and it's especially good on the weekend. Specialties include local sausages, olives, spices, snails, cheese, bread and locally grown fruit and vegetables. On the Rue Fabriques-Nadal, you can find a fantastic restaurant by the name of Cafe Sansa. Once the haunt of the artist Dali, it now drips in nostalgia with its bullfighting posters and maritime memorabilia. It's full of atmosphere and very popular with the locals. Perpignan is a lovely city -- a meeting place of cultures different cultures with a vibrant atmosphere. The Catalan artist, Salvador Dali, one even went so far as to declare the city's railway station the centre of the universe, as he apparently got all his best ideas sitting there in the waiting room. This might be a bit of an exaggeration, but we certainly think it is a charming city! This lovely stone 200 year old 'Bergerie' is perched up on the hillside above the small picturesque town of Peyriac-de-Mer and has stunning views over the salt water lagoons and the Mediterranean sea, vineyards and hills. It is set in approximately 2 hectares of land with a well kept garden area around the pool with fig trees, olive trees, a few palms and plumbago. It stands by itself and has no immediate neighbours. The house is only 3kms from Peyriac-de-Mer so it is possible to walk or cycle to town and get to the small beach, which is just out of town. It is within minutes drive of the salt water lagoons, where live flocks of pink flamingos, or any of the other beaches around Narbonne. The house has been beautifully restored retaining many of the original features like beams, a winding 'Provencal' staircase and an 'old style' ceiling in the living room. There is an independent 'Studio' with a separate entrance looking out on to the pool. The pool has a covered summer kitchen with a bar, nice garden furniture, a large built-in BBQ, a pergola and a tiled terrace around the pool. At 62 kilometres from Perpignan, it is an easy drive to visit the city for a day.